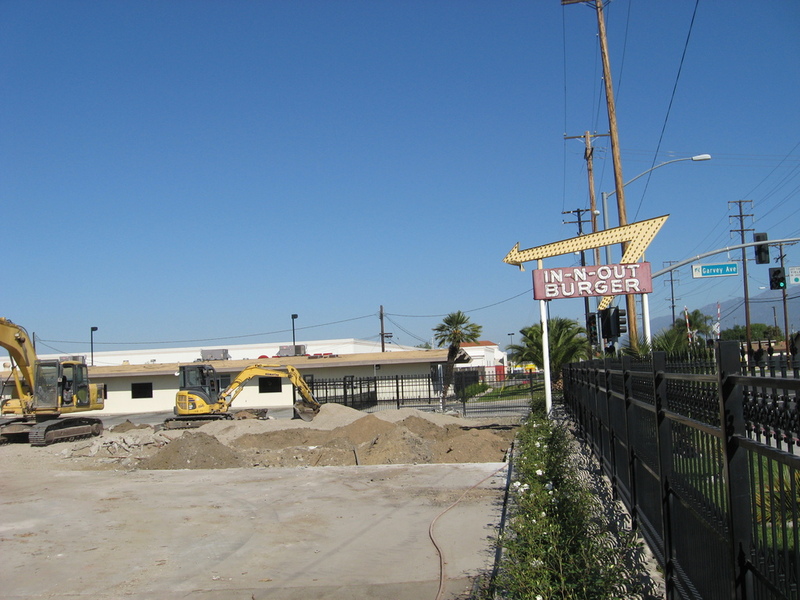 There was an article in Saturday’s L.A. Times about how In-N-Out Burger had recently demolished what was formerly their oldest location, across the freeway from their headquarters in Baldwin Park. So I immediately thought that this would make a good sightseeing bike ride. The article also mentioned that now the oldest In-N-Out location is now the one right near here in Pasadena, so I included that in the route. It was a perfect day for riding. 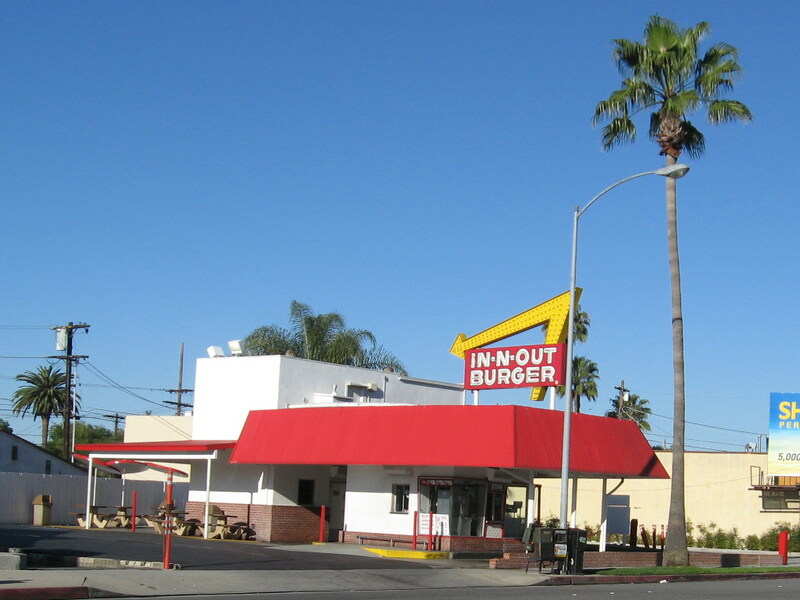 We started out going past the In-N-Out on Foothill Blvd in Pasadena. 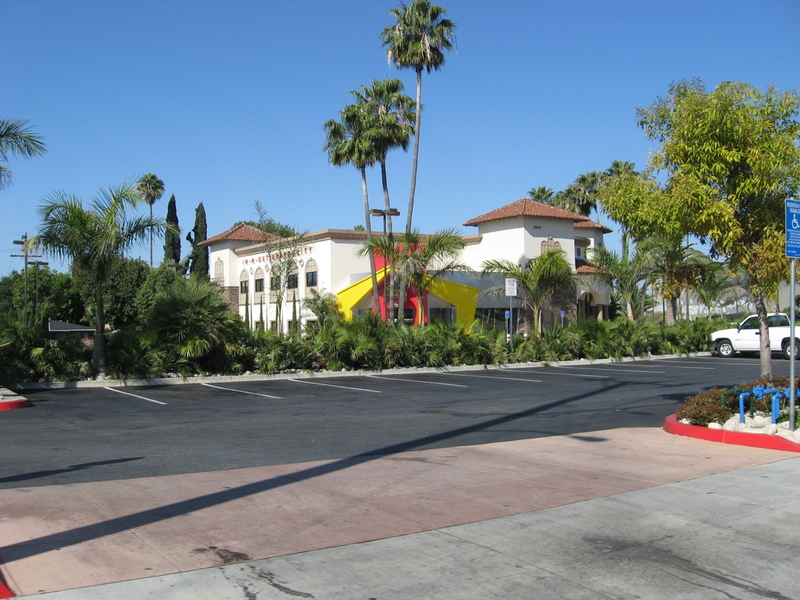 Then we headed south all the way to Baldwin Park, where we saw the remains of the former burger stand, followed by the gleaming new headquarters building across the freeway. 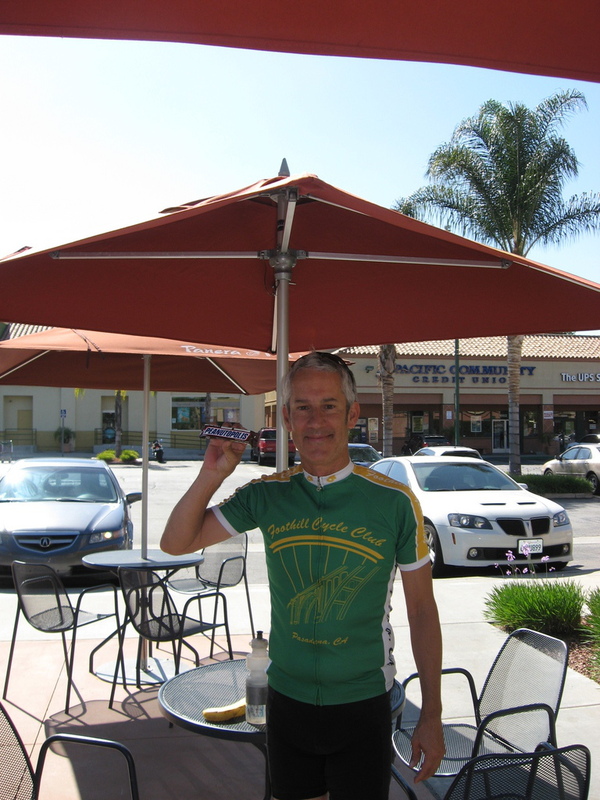 Our stop was at Panera Bread in West Covina. The sun was out, and it was just a nice day to sit outside for a bit.